THE WORLD AFFAIRS are currently characterized by rising political tensions, return of geopolitics and nationalistic ideas. Your own country and your own people first. In the world of interdependence, the world is drifting apart. It is vital to recognize that the challenges of the international community are common: climate change, terrorism or diseases don´t follow national borders. Common challenges demand common solutions. Especially for small nations, like Finland, it is of utmost importance to rely on common rules, international agreements and law. Multilateralism controls the power of the mighty and gives a voice to smaller states in the world community. Global development should not be dictated by few but by all. Finland´s role in the world is to promote common solutions to common problems. For Finland, multilateral organizations have always been important forums for the promotion of sustainable economic, social and environmental development. The Council of Europe is an intergovernmental international organization which focuses on the promotion of human rights, democracy and rule of law. The Council of Europe was founded in 1949 and has 47 member states. The total number of the population of the member states is over 830 million people. 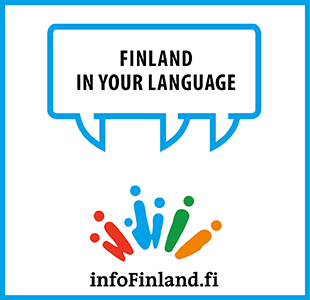 Finland holds the Presidency of the Committee of Ministers of the Council of Europe, which is the highest decision-making body of the Council of Europe, from 21 November 2018 to 17 May 2019. I was a member of the Parliamentary Assembly of the Council of Europe for over ten years. During those years, I learned a lot about the political cultures and issues of member states. At the same time, it was a possibility to get to know dozens of politicians from all over Europe, like Mr. Thorbjörn Jagland, secretary general of the Council and Mr. Mevlut Cavusoglu, foreign minister of Turkey. Co-operation and dialogue between decision-makers is an important tool to prevent problems and conflicts between states. During my years at the Parliamentary Assembly, I worked as a rapporteur concerning co-operation in the Baltic Sea. I proposed enhanced co-operation between member states in order to improve the condition of the Baltic Sea and to create more stable structures for the Baltic Sea states. There has fortunately been progress in some of these issues, partly not. Unfortunately, the military tensions in the Baltic Sea region have grown in recent years. The Council of Europe is geographically larger than the European Union. It will make it possible to emphasize the importance of human rights, democracy and the rule of law across Europe. It is therefore important that, for example, Russia and Turkey will continue to be members of the Council of Europe. Co-operation is a sustainable way forward.